The mutual fund (MF) industry has never had it better. Assets are growing at a scorching pace and investors are staying put despite bouts of market volatility. The good times, however, are causing an unintended side effect: Exodus of top fund managers. DSP BlackRock Investment Managers may be on the verge of losing Anup Maheshwari, currently the chief investment officer (CIO)-equities, at the fund house. Maheshwari, formerly the head of equities and corporate strategy, has been with DSP BlackRock for more than two decades. Maheshwari is not alone. Gopal Agrawal, who recently joined Tata MF as CIO of equities, and Ravi Gopalakrishnan, head of equities at Canara Robeco Asset Management have also quit. Ritesh Jain, CIO at BNP Paribas Asset Management, may also be on his way out, said two people in the know. Most of the fund houses are yet to confirm these departures. Jain denied he had put in his papers. Earlier this year, Sunil Singhania quit Reliance Capital as global head of equities to set up Abakkus Asset Manager, an investment management company. In July last year, ICICI Prudential MF deputy CIO Manish Gunwani quit to join Reliance MF. “This is evidently a bull-market phenomenon,” said Dhirendra Kumar, chief executive officer (CEO), Value Research, a fund tracker. According to him, the equity market has seen a sustained uptick in the past few years and asset management companies’ profits have soared, giving them enough firepower to poach fund managers. The rise in popularity of portfolio management services (PMS) and alternative investment funds (AIFs) among wealthy individuals is also attracting senior fund managers. Former fund manager Kenneth Andrade, who quit IDFC MF as head of investment in 2015, now runs Old Bridge Capital Management, a PMS firm. In 2016, fund manager Aniruddha Naha quit IDFC MF to join Avendus Wealth Management as a portfolio manager. He has now joined DHFL Pramerica as the senior fund manager, equity. “CIOs at large fund houses typically earn Rs 30-60 million annually. 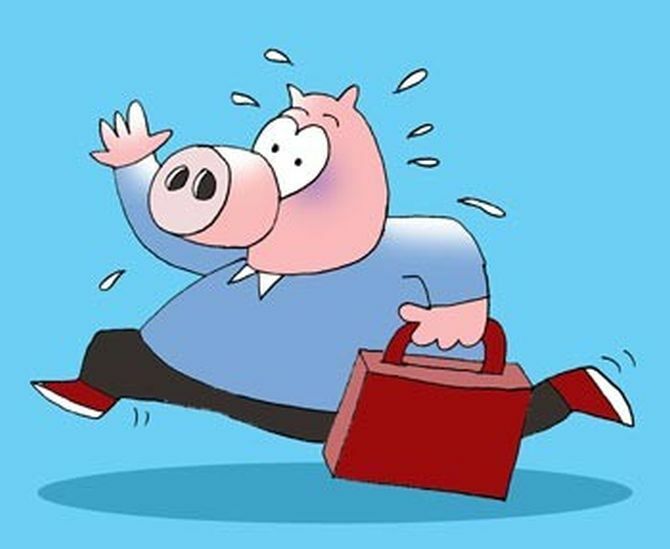 Setting up a PMS or AIF can be more rewarding monetarily, owing to the profit-sharing clause, and the flexibility to own a concentrated portfolio,” said a senior official. Expenses charged by MFs are capped according to a slab-wise formula laid out by the regulator. For instance, equity schemes can charge a maximum of 2.5 per cent for the first Rs 100 crore of assets. AIFs do not have such caps. And while PMS charge fixed management fees, it may have a separate profit-sharing arrangement as well. “A fund manager’s job is by no means easy and the constant scrutiny on performance can take its toll,” said another senior official, on condition of anonymity. He added that managers often come under fire for a few quarters of underperformance, which is why some are exploring areas such as PMS or AIF where there is relatively less scrutiny. Some industry experts blame the diktat to disclose remuneration of key personnel in a fund house for the exits. The Securities and Exchange Board of India (Sebi) directed fund houses to disclose information on the remuneration of chief executives, CIOs and COOs or their equivalent, effective 2015-16. A fund manager's role is often deemed crucial in a fund set-up. Often, when a star fund manager leaves, the fund starts doing badly; the reverse can also be true. Financial planners often stress the importance of knowing the experience and background of a fund manager before investing. “Investors need to monitor fund manager exits closely. Analyse the fund for a few quarters; if the fund starts to underperform it may be time to move on,” said Kumar. Mutual funds or Ulips? Has LTCG tipped the balance?